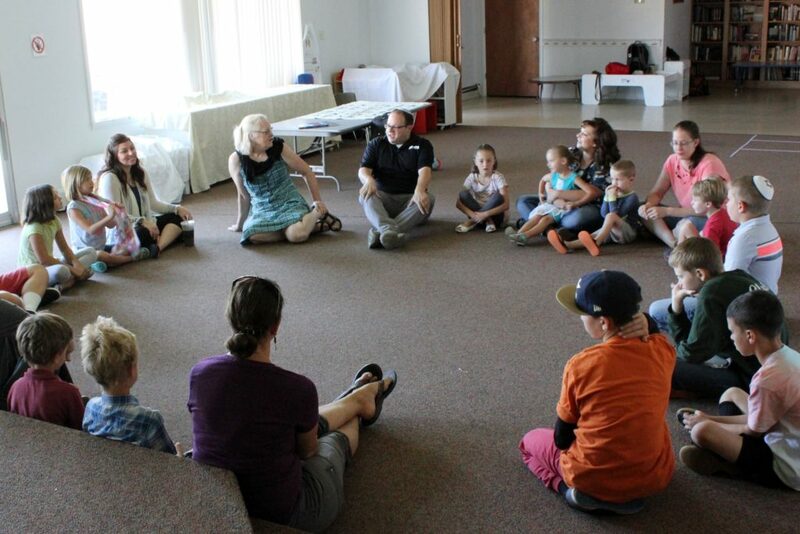 Our small community in Grand Junction has been holding a weekly or twice weekly Hebrew School for over thirty years. We have met in member’s homes, in church basements, in rented spaces above Main Street stores, but we have always had Hebrew School. In fact, it was one of the main reasons our congregation was organized. We are now fortunate enough to have our own set of buildings in which to conduct classes. At the moment, we have a vibrant school of three levels of school age children who meet weekly on Sunday morning during the school year. The school is taught by the parents, the student rabbi, and volunteer members of the congregation who prepare our b’nai mitzvah students. Please contact us for dates and times of classes.